I once knew someone who took ‘being a miser’ to a new level. He’d flatten a shaving cream tube to such an extent that you could pass it off for a silver sheet. All through my childhood, I remember him using the same night suit on every visit. Back then, I thought, he wasn’t that well to do. Now that I know better, I am amused at how stingy he was. Then there was this other lady who was related to every important person listed in the tabloids. He was either a cousin, or a far off uncle, an in-law or a dear friend. Her name dropping was known far and wide. Brushed off as a wannabe, she was never invited for parties. No prizes for guessing why. We all have strange fascinations or habits. It makes us queer, not in the liberated sense, but yes, you know what I mean. I too have a thriving quirky side. And I’m just about to list them for you, in a random order, just in case you happen to meet me in your lifetime. They might not make sense and hence they are MY idiosyncrasies. Grin and bear! 1. I quit a convo when I realize there are imbeciles at the other end. I’m allergic to fools. 2. I love humour quotes. I save them for a rainy day when I need a bit of sunshine. 3. I feel queasy if a man don’t match his shoes and belt. We can never be friends. 4. Contrary to my talkative nature I prefer peace and quiet. I love my own company. 5. I can’t share my side of the bed and quilt with anybody. No, not Mel Gibson either. 6. I hate people who break queues. I have told random strangers to get back in line. 7. I have a quaint collection of greeting cards since I was 10. I love handwritten notes. 8. The quest for an apt blog title is my priority. People walk in if the invite is worth it. 9. I work at the Eleventh hour. Somehow my thoughts & productivity pace quickens then. 10. A quip is the easiest way to befriend me. I have no qualms in sharing the stage. 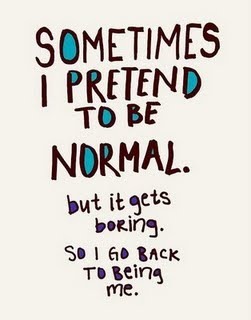 Do you have a quirky side too? Enjoyed your post. I had to think about my quirky side – I drop things off hangers when I shop – perhaps I’m just clumsy but I’m only clumsy in the clothes section of department stores! Suzy, I almost always like an outfit the first time I see it. still insist on seeing a dozen others and come back to buy the same one in the first place. Lol. Ya ya Corinne I kept saying the same thing…..but people I tell you. haha your quirkiness could well be mine vinita; though the quilt and side of the bed I could share with George Clooney (wink). And I am an eleventh hour person just like you- brings out the best in me i guess 🙂 loved this post as I could relate it to almost all. I love Mel Gibson, I really do…………but somethings are sacred girl….lol! We all have our quirks…and I could name many which seems to irritate my lot. You should do a post just to irritate them more Janu. Thanks Dee. I am enjoying myself in your city, right now. Laxmi, I need to have you on speed dial. You are soooooooooooooo good for my self esteem. I did a similar post about a year back – I am called the Queen of quirks by all who know me ! I hate people who break queues too and I cant continue a convo with I cant seem to relate to ! Those are two many q’s and too many facts about U which dont seem queer at all ! Birds of a feather, flock together, eh, Afhsan? That was a lot of ‘q’s! The que breaking drives me nuts too. Although my hubs will never learn to match anything, let alone shoes and belts. We all have our quirks. And that’s good! I hear you T but then again husbands are in a different league all together. Quirkiness makes us….us! I share the number 8 with you Vinita. Happy to see you here partner. Quool! Been nice reading through the A-Z. I can never stop being amazed at the determination it must take. I have only one belt, Bible black, or rather used to be. Time has frayed its essence. I also have only one footwear. Black. Though I sometimes wear brown formal shirts out with blue jeans, but you will still like me. People breaking queues? I hate them and tell them to get back in line so many times, in Metro, at theater. I have given up on the cupboard, the husband’s. The girl sorts her own…..thank god! Ab mera nature to tum janti ho BG ..I will let out one secret today ( I am completely aware of the risk I am taking and the glint in your eyes ) . I am mortally scared of balloons floating in the room when the fan is on.Also if you fling anything in the air (with the fan being on),I can throw you out of the room.So,if you love me ,you know what not to do! One wouldn’t believe that you prefer peace and quiet… but even I when I actually think it over… as much as I talk and chat… I do prefer peace and actually enjoy my own company..
Nice to know about your quirky side Vinita. I share 2,5 and 9 with you. I was unable to think about what to write on Q and hence ended up posting my first ever photo post and here the talented you has written on so many Qs!!! point 6, 7, & 9 is just so me. I did nothing Preeti, just rounded all the Q words I knew in my lifetime to make a sensible post, lol. I am for all of yours, but especially #9! And, that reminds me that I haven’t written my R post yet! Quite a post 🙂 Should remember to include you in my Q Police team! Do that. I would be honoured. Everybody has a quirky side. But yours are hardly quirky. If they are, then they are on my list of pre-approved quirks. I felt an affinity for your miser. I am unable to throw away almost empty toothpaste tubes. Makes me feel wasteful. When my husband throws them away to make room for a plump and smooth brand new one I feel a momentary pang of shortlived guilt. Ha ha ha KayEm I am sure he would be thrilled to know that, wherever he is 🙂 I understand being economical, but miserly…..hardly. He was quite something else I tell you. Such a quirky post! 😉 New follower here. I’m stopping by from the “A to Z” challenge and I look forward to visiting again. Thank you Sylvia for dropping by. Gonna visit you soon. Hope you’ve enjoyed the challenge so far. Very interesting to read your quirky post.. some of them i relate to.. .. good post ! Ah, so glad I am not the only one 😀 As far as language is concerned, I think I will murder someone someday just because I won’t understand what they are trying to communicate.